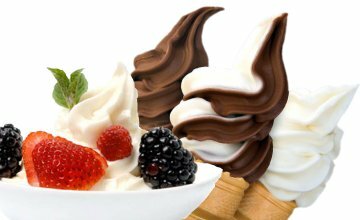 Coffee and Ice is the leading distributer of all types of ice cream equipment in the UK. If you are looking for an ice cream display cabinet, ice cream counter, ice cream display freezer and other equipment for both the ice cream and coffee industries, we are the people for you! We supply a comprehensive range of coffee shop counters, ice cream counters, coffee vending machines and a host of related equipment to a vast majority of ice cream parlours and coffee shops in the UK. We provide the best quality equipment belonging to some of the most renowned brands like Smach, Rossi Dimension, Bravo, CAI, Ifi and BFC. Coffee and Ice is the leading supplier of a whole range of batch freezers/ice cream freezers of well-known brands like Bravo Trittico, which happens to be the world leader in thermal shock all in one ice cream machines. As a premier company, we deal in all types of commercial ice cream display freezers, cabinets and counters of the bestselling brands at very competitive prices. We take pride in calling ourselves the sole distributor of all kinds of high quality ice cream counters, ice cream machines, coffee machines and batch freezers of the best known brands. 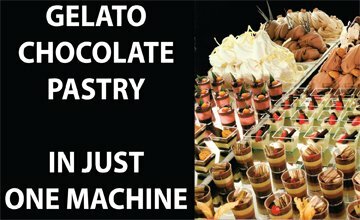 We deal with ice cream machines and coffee making equipment from some of the best known brands like CAI and Rossi Dimension who specialise in manufacturing the best equipment pertaining to this particular industry. 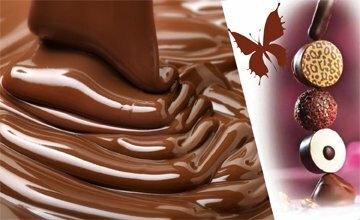 Our customers are some of the leading coffee/ ice cream shops, Gelaterias, restaurants and hotels in the UK who use the best equipment supplied by us. 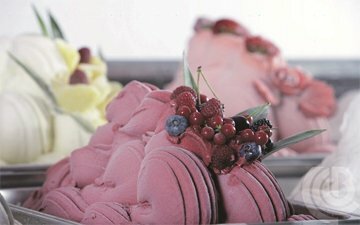 Smach ice cream machines are very popular as they are known to produce some of the softest ice cream. These machines are supplied to many of our customers located in the UK. Coffee and Ice sell an array of exceptional quality branded equipment among the leading coffee shops, pastry shops and ice cream parlours all over the UK. The equipment that we stock are all branded and come at a very attractive price. The quality of the ice cream machines that we sell is second to none as it belongs to some of the leading manufacturing brands globally. We also possess expertise in coffee shop design and installation at your place of choice in the shortest possible time. 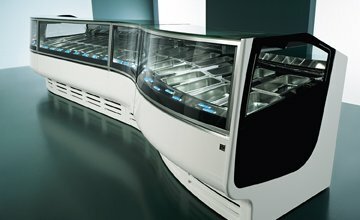 Coffee and Ice, procures batch freezers, ice cream display cabinets/counters, coffee shop counters and machinery from reputed manufacturers all over the world. 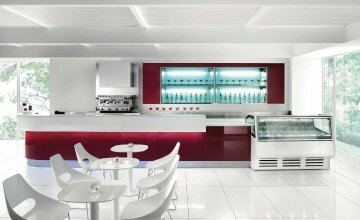 We are thus the most sought after ice cream cabinet and counter supplier in the UK. We source equipment from leading manufacturers worldwide, thereby providing our customers the guarantee of full after sales back-up and support which is the hallmark of a true global business partner.